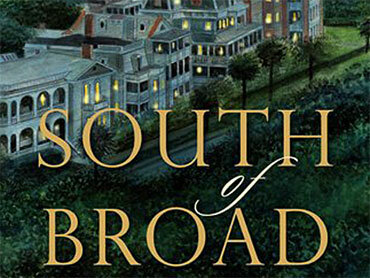 "South of Broad" (Nan A. Talese, 528 pages, $29.95), by Pat Conroy: Even outside the rigid social structures of adolescence, Leopold Bloom King is something of a freak. His severely bug-eyed appearance earns him the nickname "Toad" from his classmates. His domineering mother, a former nun who also serves as his high school principal, named him after the protagonist from James Joyce's "Ulysses," much to his chagrin. And he's a few years removed from a mental hospital, where he landed after discovering his older brother in the bathtub with his wrists slit. Leo is also a criminal, serving the last days of his probation after police find him carrying a half-pound of cocaine. "South of Broad" begins as the story of Leo's struggle to redeem himself, but becomes the tale of the close-knit circle of friends who help him do it. They support each other over the following decades as they contend with illness, emotional breakdowns, death and other perils of adulthood. "I carry the delicate porcelain beauty of Charleston like the hinged shell of some soft-tissued mollusk. My soul is peninsula-shaped and sun-hardened and river-swollen. The high tides of the city flood my consciousness each day, subject to the whims and harmonies of full moons rising out of the Atlantic."